Things are quiet ish here (on my blog) because I've been quite busy - with my folks over for the weekend there was plenty of fun hanging out time, and I've also been finishing proofing Kathy and Shannon's wedding from a few weeks ago. Both things are complete now, so I'm looking to the next thing on my list! 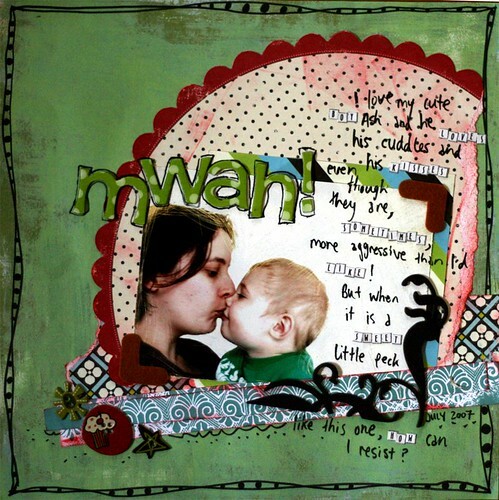 I've just got my hands on the new Sassafras Lass from Kiti Q - OMG I am so in love with these papers. Combined with Daisy D's Wonder Years range which I just got the other week, my absolute new favourite range, I am just HANGING OUT for scrap happiness. I did one very quick page yesterday, will try and get it up here tomorrow. 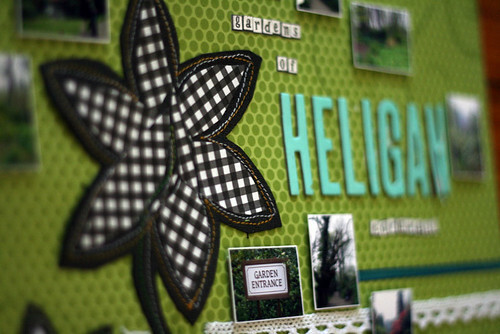 The Lost Gardens of Heligan layout was one of my April creative team projects for ScrapLounge. For this page I used the Mijimoo Stitch Assist template, piercing the holes through to my black bling bazzill before going over the pattern with machine stitching (in two colours). 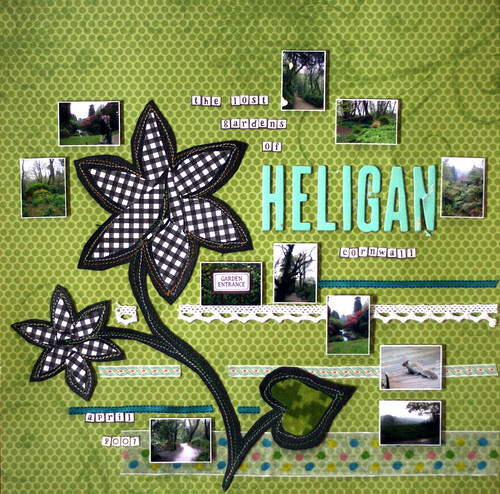 Then I cut around the floral feature and used Mijimoo black gingham patterned paper to 'patch' fill in the flowers, before placing the whole thing over my green background sheet of paper (Scenic Route). The ribbon strips in the background are from The Craft Queen. I also just ordered some completely adorable fabrics for upcoming Q Tea Kits, which I am so excited about. Can't wait for the kits to come around.